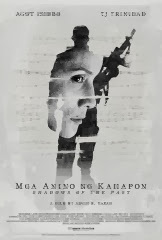 When I got an invite for the screening of Anino ng Kahapon--a film under the New Wave Category of the 39th Metro Manila Film Festival, I had to admit I was a bit hesitant to go. I thought the film was in a horror genre because the title seemed like it was. Little did I know, I'd be in such a big surprise by simply watching Anino ng Kahapon. 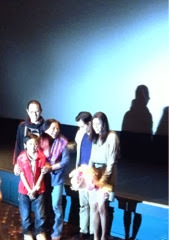 True enough, by the end credits I was grateful I gave in to my own Mother's constant "pangungulit" as she kept pestering me for the two of us to go and see the film on one of its preview held at the Glorietta Cinema. 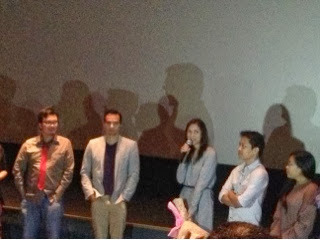 Anino ng Kahapon was all worth it--our efforts in leaving early to avoid traffic, the long queue at the MRT South Bound lane---I didn't really think I'd be able to appreciate the said film. I've misjudged it early on with pre-conceived notions what it was all about, It turned out to be a damn great film about schizophrenia. Yes, it is a suspense-drama about Irene who's suffering from a life-long mental condition that affects her whole family. I may not have finished my first college course (AB Psychology) because I had shifted to Mass Communication by my sophomore year, but I had always been interested in the way people think and how our mental ability works. This desire had actually stemmed from a high school friend, *Lianne, whose Mother and Aunt were both diagnosed with that dreaded mental condition--both are schizophrenics. She was the eldest child in a brood of 4 and her Dad worked as an OFW abroad. As her close friend, I've seen how she has suffered herself from shame, pressure and how the society threw stones at her. There was even a point where her boyfriend back then didn't had enough balls to fight for her with his own family. Lianne were called names, ridiculed and was labeled as "anak ng baliw" all throughout her high school life. All of these had affected her grades, love life, and most importantly, her self-esteem went so low to the point that she didn't want to continue studying anymore. I could vividly recall how Lianne would be calling my huge Nokia 100 (yes, the kind of mobile phone that looked like an ice crusher) even in the middle of the night just so she would have someone who can listen to her as she pour out her sentiments. I would always answer, ready to lend an ear no matter how sleepy I'd be. My own relatives actually didn't liked seeing me with Lianne too, thinking I might catch schizophrenia just like airborne virus do. I fought for our friendship, it was the least I could do. I know it would be more painful for Lianne to lose me--doing so would feel like rubbing salt or squeezing lemons into her open wounds. We kept in touch with each other until college. Sometimes, Lianne would still call me out of the blue--and I'd still welcome her with the same warm reassuring voice that everything will be fine--she'd just have to leave it all to God. 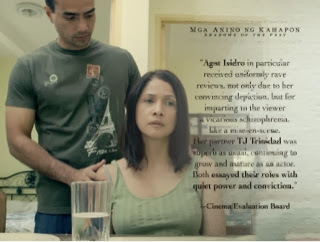 While watching Anino ng Kahapon, I began to understand the complexities of such mental condition. The movie was an eye-opener for me. Perhaps, it was serendipitous that I was dragged by my Mom to see this film. I couldn't help but remember how my dear high school buddy Lianne managed to live with schizophrenia in her family all through these years. At a young age, it was such a feat to be able to live with schizophrenia because everything seemed too difficult. Lianne had finally finished college (11 years after I had my college degree in 2002) in 2013 under an academic scholarship from De La Salle College of St. Benilde. 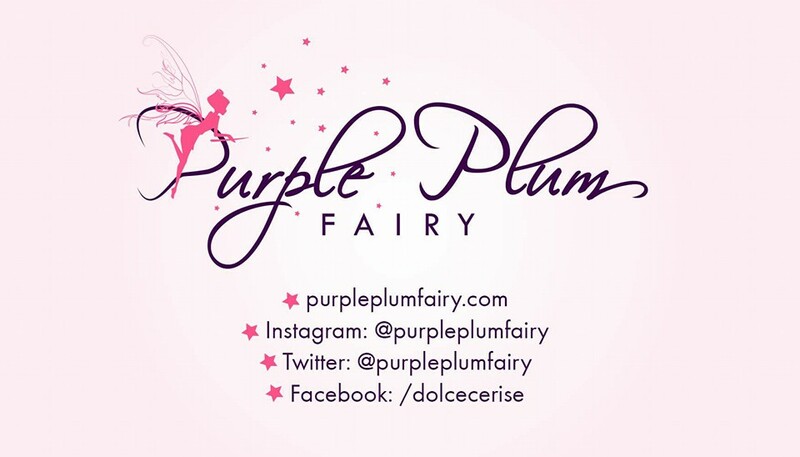 She's also working in a prestigious BPO office in Eastwood. She's got a brighter life ahead of her. Lianne still stays and takes care of her mother (who from time to time would be having her mind lapses.) but Lianne's able to manage her well. Two of her siblings are now happily married. Anino ng Kahapon is a poignant story of Irene (played by Agot Isidro in the movie) and her family as they helped her deal with her schizophrenia--where imagination and reality are difficult to define. Ed (Irene's husband, portrayed by TJ Trinidad, was such a loving husband. If it would've been someone else, he could have given up on their marriage as Irene seemed no longer mentally fit to be his wife. But Ed manifested forbearance--he's not the type who easily give up. Together, Ed and Irene discovered the true meaning of love by trying to beat the odds that goes with schizophrenia. They are a perfect example of what a family should be--being there for each other no matter what, they made each other realize their importance in each other's lives and hand-in-hand, they fought all the obstacles and dilemmas that come their way. The film was graded A by the Cinema Evaluation Board. To me, it's no longer surprising that they did. I highly recommend this to everyone--even the single ones who may not yet have experienced the true essence of love. 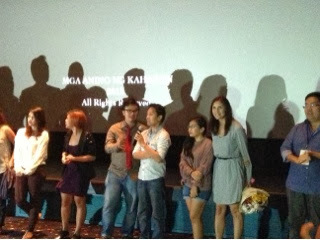 Watching Anino ng Kahapon will make you cry, touch your hearts and move you to tears. * names have been changed to protect my friend's privacy.